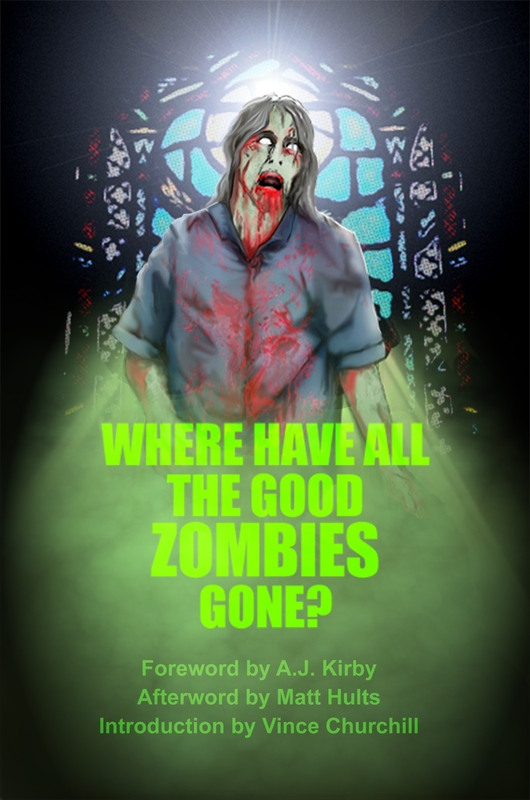 I stop by this site from time to time to make sure I’m up to date on my zombie fiction. This is one of the more comprehensive zombie fiction sites around, and almost everything has a short, helpful review attached. Most of you know I’m a huge fan of the pulps from the 30s, 40s, and 50s. If you ask me, this is a category of literature that has been shamefully ignored by those mavens of academic good taste who forced all that George Elliot and Thomas Hardy on us back in college. Just as the blues can claim to be America’s unique contribution to music, so too can the pulps be called America’s unique contribution to popular literature. Yes, I know there was a long history of popular magazines in Britian during the late 1800s and early 1900s. Yes, I know that such notables as Dickens, Kipling, Wells, Doyle, and Stevenson all contributed regularly to those magazines. But the American pulps were the pinnacle of the form. They were steeped in lurid commercialism, the writing was frequently clunky, even sloppy in places, but they satisfied a basic need for escape and adventure that underlies the best in literature and storytelling. But their merits as good literature notwithstanding, the pulps also have a place in the history of popular entertainment. You see, the pulps flourished in a world with very few TVs, and a good many of them went out of business as more and more TVs entered American homes. It seems to me that the pulp-to-TV conversion in American tastes represents one of the only instances in which one form of media wholly supplanted some other form of media. That would seem to suggest an event of some cultural significance. Maybe the reason behind it is laziness. I mean, let’s face it, it’s easier to sit in front of the TV and watch a show about a private eye fighting crime and loving half-naked women than it is to read a poorly printed digest magazine about a private eye fighting crime and loving half-naked women. I can’t really blame the American consumer for making the switch. Not everybody loves to read. But that doesn’t stop me from bemoaning the demise of a great form of literature. Nor does it dissuade me from calling for America’s academia to rise to the challenge of reclaiming pulp literature and giving it the credibility it so richly deserves. Which brings me to Books from the Crypt. I love these guys. 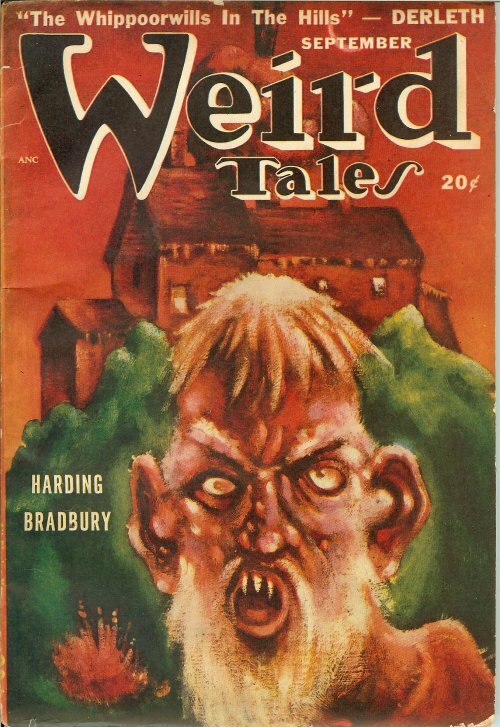 Academia may have not noticed golden nugget under their nose, but there is a growing movement online to bring back the pulps in all their former glory, and the guys at Books from the Crypt are at the vanguard of that movement. I am a modest collector of pulp magazines. With mouths to feed and bills to pay and a limited bank account with which to make it all work, there is only so much I can do to indulge my hobbies, but these guys seem determined to make the work of collectors such as myself a little easier. They offer a secure way to buy a variety of titles, and they also post a daily scan of pulp covers…and let’s face it, the covers were awesome. Plus, each daily scan lists the contents from that particular issue, an invaluable tool for collectors. Trapped for nearly three weeks in their four room cabin atop California’s Mt. George, college English professor Jacob Zachary and his wife and son have finally managed to shovel enough snow out of the way to brave a drive into town. But what they discover is a land of falling ash and burned buildings. The apocalypse, in the form of nuclear war, has come, and without even realizing it, Jacob Zachary and his clan are among the few survivors. What follows is Jacob’s attempts to keep his family healthy and united. But of course things are never as easy as they should be. The Confessions of St. Zach is from the wonderfully talented pen of Gene O’Neill, whose previous foray into the apocalypse, the novel The Burden of Indigo, was among the finest pieces of apocalyptic science fiction I have ever read (and I’ve read a lot of it, believe me). It is a short book of only some 55 pages, but it is a big story. It is part gut-wrenching drama about the loss of our humanity, part fable of hope for a new beginning, and in that respect it captures the two finest themes of all apocalyptic literature. If you liked The Day of the Triffids, Damnation Alley, A Canticle for Leibowitz, or even Alas, Babylon, you will at once recognize this book’s pedigree, and at the same appreciate how it takes a familiar theme into exciting new directions. This one is highly recommended.